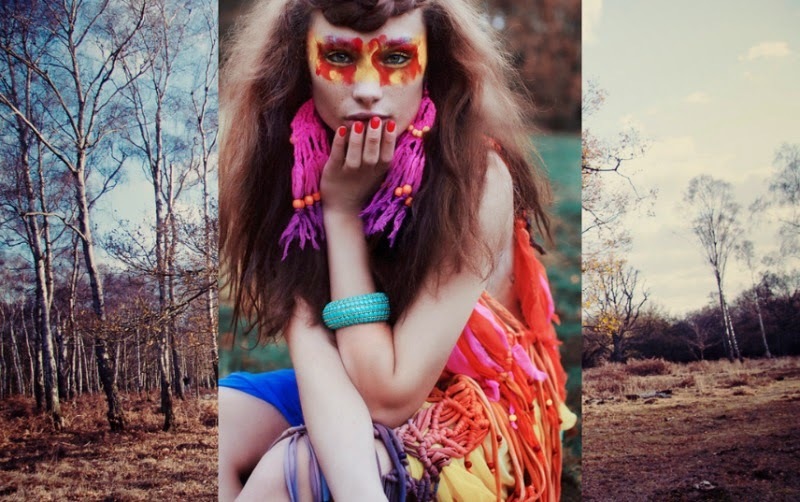 I stumbled upon this color blasted editorial photographed by Jessica Klingelfuss online one day and obsessed. The model's angles. The face paint. The exotic warrior dresses. The skinny bodied trees. 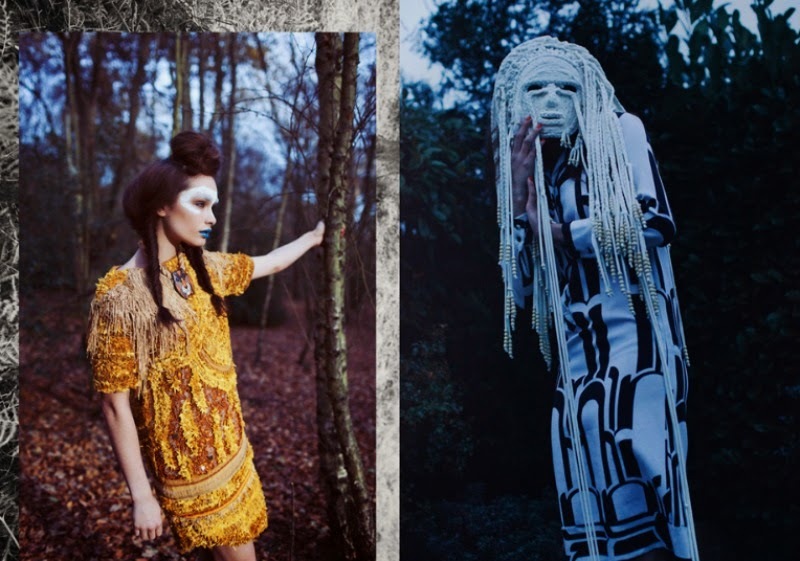 Such a fabulous way of expressing culture through fashion. So bold yet so peaceful at the same time. I'm so inspired to take parts of this shoot to recreate and play around with in an upcoming shoot of my own! Can't wait to see your shoot based off of this :) Such cool pictures, and as a fellow photographer I am equally as blown away! 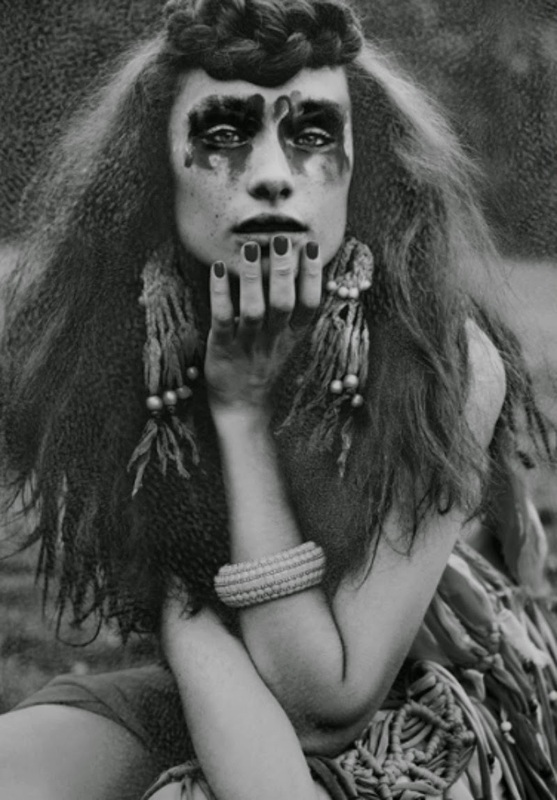 Beautiful photos babe, Love the Native American Vibes.